A growing number of people are enjoying the rewarding hobby of tending ponds and water gardens to keep in touch with nature and enjoy tranquility and peaceful reflection. However, because these ponds are small eco-systems, they can pose challenges in many ways. Eco-systems depend on balance and if not maintained properly, can become a source of frustration and worry. One of the frequently overlooked rules of balance in an eco-system, regardless of its size, is the need for proper water levels. Ponds can lose water in numerous ways such as small leaks, wicking from waterfalls, evaporation and small animals drinking from them. 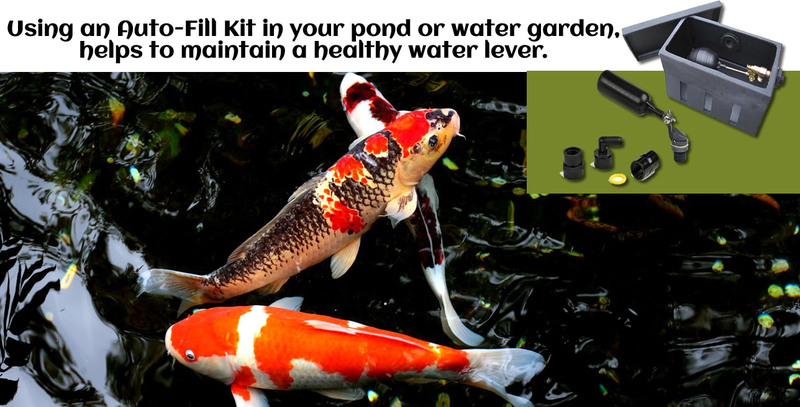 While most of us are aware of the need for proper filtration and water quality, we often overlook the importance of a good filling system when considering the health of our ponds and water gardens. People new to pond keeping, and some seasoned keepers alike, will many times employ the basic method for filling; using a garden hose. This simple method is great for those with the time to commit co constantly keeping an eye on their pond or water garden and ignoring the hazards of doing so. Experts know that filling with a hose can lead to disaster. Douglas Hoover points this out saying, "The greatest drawback to filling your pond with a garden hose is the frequency of overflow and flooding associated with getting preoccupied with other tasks and forgetting to turn off the hose." Timing the fill may aid in reducing the possibilities of overflows but require a knowledge of the rate of flow in the hose as well as the volume of fill water required. A more accurate method of filling the pond is by using an automatic filling system that can sense the level of the water and refill it without the pond owner having to do anything. Yet the merits of an auto-fill are a much-debated topic. Many state that while auto-fill can be helpful in situations where the owner is away or is unable to haul hoses out, the main argument against them is that they can mask a leak that can mean adding a continuous stream of chlorinated water into the pond that poses the potential for hurting the fish. First, it should be understood that adding chlorinated water to a pond with fish in it should never be acceptable to the pond owner. While it is true that small amounts of chlorine will not do immediate harm to fish, it takes time for the chlorine to dissipate and, depending on where it is introduced into the pond, it may cause harm to fish without the owner even suspecting it. Therefore, it is important to always use an in-line chlorine filter for water feed lines on city water. Chlorine filters can last up to a year and are relatively inexpensive and easy to install or replace. Therefore the threat of chlorinating the water should not discourage the use of an auto-fill. Second, it is true that a basic auto-fill can mask a leak. However, many professional electronic systems provide an alarm to notify of a leak and indicate when the unit is filling so that the user can determine how often it is filling. With these concerns being dispelled, maintaining a constant water level using an auto-fill aids the pond keeper in many ways, from ensuring constant surface area for proper oxygenation to protection of their fish and expensive pumps from low water levels caused by evaporation and leaks. They can also minimize the time spent on maintenance and ease the owner's mind when on vacations. Auto-fill devices come in three main forms: mechanical float valve, electromechanical timed valves, and electronic sensing systems. Of the three, float valves have been around for decades and are the most popular because of their low price. Electromechanical systems are inexpensive but generally rely on batteries to operate and can fail when the owner forgets to change the batteries. Electronic systems can range into the thousands of dollars, depending on the type of materials used in manufacturing it or the technology employed within it. Yet they are, by far, more reliable over the long run. Furthermore, inexpensive float valves have drawbacks that the electronic units do not have. First, they are a mechanical device and are prone to failure. There are numerous tales of horror told on the Internet and elsewhere of expensive koi and pumps being lost due to the failure of a float valve. Countless inventors have had limited success in redesigning the float valve so that it is more reliable. However, all retain the mechanical properties of their predecessor, just in a different form. It is the mechanical component that makes a float valve susceptible to failure. As with any other mechanical objects, the moving parts can stick or wear over time and cause problems. This is especially true in an environment where they are exposed to algae, oxidation and other contaminants. Electronic auto-fills on the other hand have no moving parts and are therefore less likely to fail from environmental causes. Unlike float valves, they are susceptible to power losses. However, here is where the difference between the two is less obvious. When power goes out while using a float valve, the float valve will still work whereas the electronic fill will not unless it has a battery backup. This is one of the arguments against electronic auto-fills. In reality the pond is not as susceptible to water loss when power is out. The vast majority of leaks in ponds come from water movement through pump systems, streams or waterfalls. If power goes out, the majority of the leaks in ponds are essentially non-existent during the outage. Therefore, the threat of loss decreases significantly during a power outage. An additional argument against electronic systems is their cost. The economics of electronic systems can be allusive. For those on a budget, a $600.00 unit can appear to be daunting. However, it is no fun to shell out thousands of dollars to build one's dream water feature and not have a fill system that is adequate for the project. It is almost like buying a Rolls Royce and finding out that you do not have the right equipment in it. Watergarden.com (n.d.) outlines the advantages and disadvantages of auto-fill systems within the range of good, bad, ugly and uglier. Focused primarily on float valves, they categorize the potential mechanical flaws associated with float valves as 'even uglier.' In order to work correctly, float valves depend on mechanical parts to work. Toilets have used mechanical float valves for more than a century to refill them after they are flushed. The mechanical systems work quite well when the water is clean and free of suspended debris and other contaminants. Still, these valves fail from time to time and need replacement because mechanical parts wear out with repetitive movements. This is true of any float valve but only a portion of the problem with float valves used in a pond or water garden environment. Generally, water in the average pond is not free of contaminants and float valves must operate continuously with these particles floating freely around the mechanical components. This presents a high risk of the float becoming clogged or corroded and ending in failure. Another potential problem with floats is that they are typically made of plastics that are porous in nature and can wick water into them when in constant contact with water. Regardless of the cause, floats tend to fail in the open position. This may in part be due to the assistance of gravity forcing the bulb down over time even though water pressure is unable to overcome the friction in the mechanics when they become clogged or corroded. Or the float bulb becomes filled with enough water to limit its buoyancy. Still, the economics of a float valve may appeal to those willing to cope with these potential problems. Another consideration when choosing an auto-fill system is where it will be mounted. Float valves come in a variety of forms. Some have large float bulbs attached to pivoting arms similar to a standard toilet float that are not very pleasing to view. These operate in a horizontal plane and need significant area to operate. In recent years, some designs have incorporated a vertical method of operation, which reduces the size of the mechanism considerably. However, regardless of the design, most pond owners do not want to mount a float valve directly in the pond and opt for mounting in a skimmer or an optional valve box affixed to the pond that adds an additional level of difficulty when installing them. Electronic systems, on the other hand, usually have a small unobtrusive sensor that can be mounted away from the water feed and are more easily hidden from view. Many professional installers understand the drawbacks to float valves and insist on installing a professional electronic fill system. The price for these systems can range from $300.00 to $3,000. These systems use a small sensor connected to an electronic controller and an irrigation valve. The sensors are small and inconspicuous when installed as before. Controllers generally have provisions for indicating power status, fill in progress and alarm conditions in the form of LEDs or some type of lamp. The power indicator merely shows whether the unit has power applied to it or not. The fill indicator provides visual information of how often the unit is filling which can be useful in systems with limited alarm capabilities. Systems with alarm capabilities provide a wide array of monitoring options. Alarm conditions may be caused by conditions from a loss of power or sensor connectivity to a low water level condition. What types of alarms are available depends on the type of system and what controller is used. Another advantage of these systems is their capability to delay the fill cycle due to motion of the water. Without this function, other systems such as float valves can fill erratically due to fluctuations in the pond surface and potentially cause an overflow. Systems come in a variety of types with varying configurations such as make-up fill, low level cut-off, overfill protect or any combination of these. Make-up systems sense when the water level is low and refills to a set level. They have no provision to monitor outside of the expected range of water level. If a leak develops that removes more water than the feed to the auto-fill can provide, the system remains on even though the water level in the pond continues to drop. No alarm is triggered since the system 'believes' that everything is normal. However, this is a rare occurrence when the proper size system is installed. Low Level Cutoff systems determine that the unit is unable to keep the water level at normal levels and either turns the system off and provides an alarm condition, or maintains the fill on and goes into an alarm condition. These systems can also shut off pumps and other equipment to protect them from burning out. As the name suggests, a system with overfill protection senses when the water level has risen higher than normal levels and shuts the system fill off and provides an alarm. Most of these systems incorporate the functions of a makeup system as well. Of the various types, makeup systems are the least expensive and, as would be expected, provide a minimum level of protection from failures. Because of the cost of these professional systems, other electronic systems are available that require no controller and provide basic filling at a much lower cost. These systems generally use a sensing component, a standard irrigation valve and a power supply. Although marketed as electronic auto-fill systems, one of the two types uses sensing probes while the other is a float-actuated switch. Of the two types, units that use sensing probes are more similar to their professional counterparts and have no moving parts that can fail. Once owners understand the importance of a good auto­fill system, they must decide which type of system is best for them. Far too often cost is the single most important factor when deciding which to use. However, cost should be weighed against other factors such as maintenance time, features, warranty, installation requirements and potential for failure. Cost can be a bit deceiving when not calculated correctly. A $50 float valve may seem the best approach to someone on a budget. However, over time, the benefits of a professional electronic system can outweigh any cost savings of a basic float. In maintenance time alone, an electronic system can save many hours of cleaning mechanical assemblies or replacing faulty floats. Additionally, the ability to maintain a more accurate level in the pond along with the added protection of an alarm condition in a malfunction can immediately make the extra cost of these systems worthwhile. Regardless of what system is chosen, the net benefit will be substantial over manually filling the system each time needed. Filling a pond manually by hose dictates that the owner must observe the water level at all times. This can result in fluctuations in level of several inches at times, depending on how attentive the owner is. It has been shown that water level fluctuations in large bodies of water can be dangerous to the balance within the eco-system and affect any life within them (Cott, et. al, 2008). Therefore it is reasonable to deduce that water level fluctuations are just as dangerous (if not, more) to small eco­systems as an inadequate filtration system and should not be left to chance. The proper selection and use of an auto-fill can aid in the health of the pond, lower maintenance time for the owner and limit potential disasters caused by low water levels. 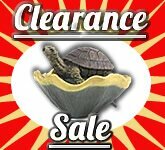 Their use can make the difference between a healthy, enjoyable pond and constant aggravation and repair expense.